From April 2015, pensions in the UK have undergone the biggest reform in decades. Savers over the age of 55 are able to access their private pension pot freely, withdrawing as much or as little as they choose – but at a price. You can still take 25% of your pot tax-free either as a lump sum or in smaller installments. However, any figure you choose to withdraw over this amount will be subject to income tax at 20% base rate, or at the higher rate of 40%, or even at the additional rate of 45% dependent on your personal tax rate. If you’re tempted to take a big lump sum you could be heavily taxed, so we do recommend that you seek specialist advice. You can find out more about the Government’s tax thresholds and personal allowances on their website. From April 2016, the State Pension has been switched to a new, flat-rate system currently equivalent to £164.35 per week. However, Government figures estimate that only 45% of new pensioners will be entitled to the full amount. Read more. If you are lucky enough to have a huge pension pot, the bad news is that the amount you can have in your pot is capped at £1,030,000. Whilst most people aren’t affected by this Lifetime Allowance, those who are should take action immediately. Under the new rules, passing on your pension pot after your death becomes more of an option and much more tax-friendly. Under the new pension freedoms, you can now leave a legacy for your family. 5.What’s the Best Option for You? Planning your retirement used to be pretty straight-forward – save into a pension pot, purchase an annuity, and then live off the steady income for the rest of your life. While you can still do that, the new changes unlock a whole new realm of possibilities for acquiring an income through your retirement. But which option is best for you? 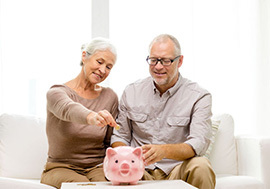 Every saver is different, and it’s important to get advice which is personal to your own needs to maintain and boost your own income in retirement.